Lubrizol CPVC Pipe Withstands the Harshest Conditions | Lubrizol Advanced Materials, Inc.
CPVC pipe, while commonly used in homes, is also used in many industrial applications with extreme temperatures and aggressive chemicals. Corzan® piping systems, for example, are used to handle chemicals such as hydrochloric acid, salt water, bleach and even sulfuric acid. A white paper is available that provides a detailed explanation of the process behind determining CPVC’s chemical resistance to specific chemicals and compounds. CPVC pipe’s corrosion resistance and durability make it the ideal solution for applications with aggressive chemicals. This same durability makes FlowGuard Gold® CPVC well suited for use in home plumbing systems. Chlorine is found in most home tap water systems as chlorination is the process of adding chlorine to drinking water to disinfect it and kill germs. Chlorine degradation, however, can lead to pipe failures in copper, PEX and PERT, resulting in significant damage. FlowGuard Gold CPVC is a chlorinated material and can withstand chlorine exposure over long periods of time. The presence of chlorine in CPVC’s molecular structure ensures CPVC pipe’s long-term structural integrity and the product’s strength. In fact, CPVC piping is frequently used at water utilities for the raw water chlorine and chlorine dioxide systems that operate at chlorine levels several times greater than the normal level of tap water. You should have confidence in your plumbing system – confidence backed by proven performance. 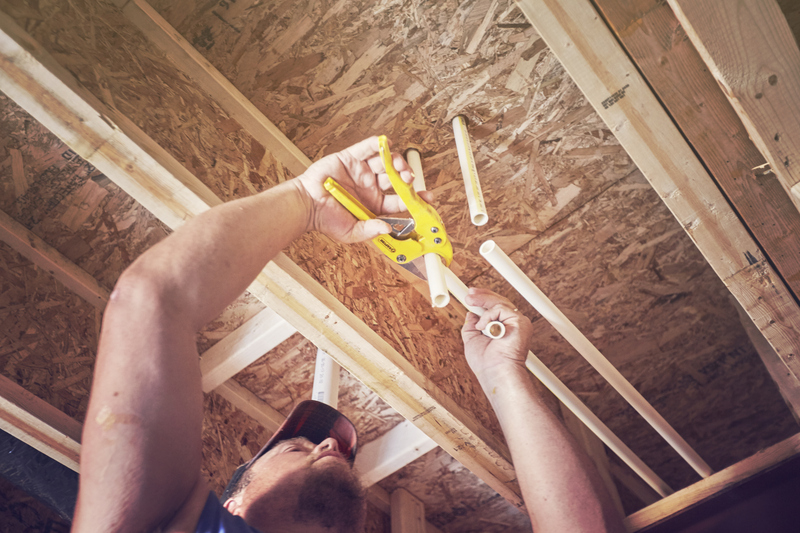 Unfortunately, many builders today are still using a PEX system with a track record of at least 10 class-action lawsuits and over $100 million in settlements in the last 10 years. CPVC pipes have been used in a wide range of hazardous and aggressive applications because they can withstand the conditions and continue to provide reliable performance. When you use FlowGuard Gold CPVC plumbing systems, you can feel confident that you are using a product that is truly over-engineered for the application. When selecting a plumbing piping product for your homes, choose a system that is backed by proven performance for 60 years. Contact us to learn more about the performance, speed and cost benefits of FlowGuard Gold plumbing systems.